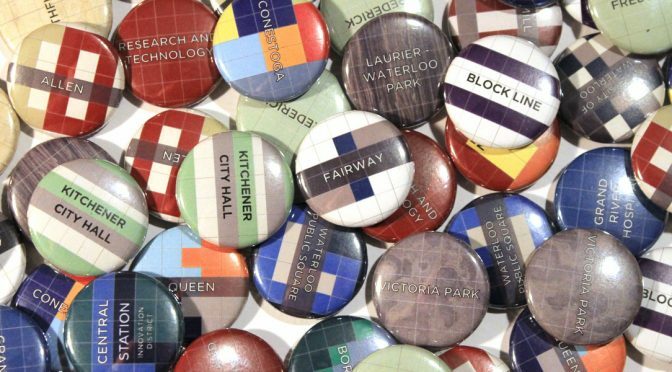 This week: major announcements from the province, including the Ontario Municipal Board, intensification, and high speed rail. 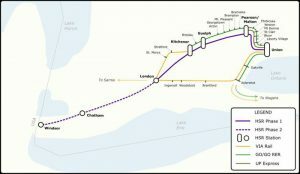 On Friday, the Premier announced that the province would be beginning an environmental assessment (EA) to build high speed rail on the Toronto-Windsor corridor, beginning with London, Kitchener, Guelph, and Toronto, for which service is projected to open by 2025. The announcement was accompanied by the release of a business case and special advisor’s report, which includes recommendations for improving intercity transit links and integration with local transit for communities surrounding the corridor. The route would serve the multi-modal transit hub in Kitchener. The report recommends peak speeds of 250 km/h at an estimated cost of $8 billion for the Toronto-London phase, instead of considerably more expensive 300 km/h trains. 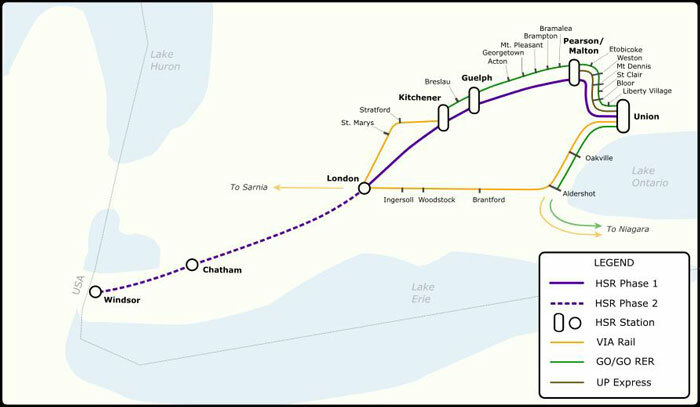 Travel times from Kitchener are projected to be 25 minutes to London, 9 minutes to Guelph, 32 minutes to Pearson Airport/Malton, and 48 minutes to Union Station. Three high-speed trains would serve Kitchener-Toronto each hour at peak times, with two off-peak. One GO regional express rail train (which would also serve smaller communities and stops in Brampton) would run hourly. High speed rail would replace VIA service between Kitchener and Toronto. Fares from Kitchener to other destinations in the first phase could range from $15-30. The EA is expected to take 4 years to complete both provincial and federal approvals. Design may be conducted concurrently to expedite construction. As anticipated last week, the province announced reforms to the Ontario Municipal Board (OMB), which hears appeals of land use decisions. 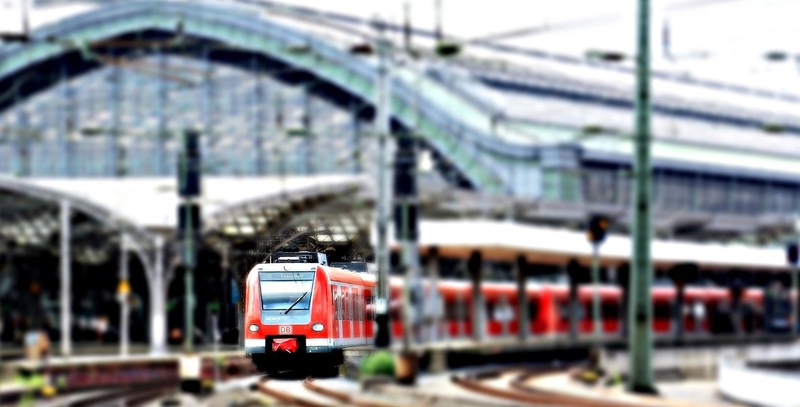 The changes would allow municipalities to opt to exempt approvals of properties in major transit station areas from appeals, and would replace the OMB with a more limited Local Planning Appeal Tribunal, which wouldn’t be allowed to upend growth management strategies like it did in Waterloo Region. In Kitchener, proposed station area plans for Midtown and Rockway areas were presented at a public consultation. Stay tuned at the Kitchener PARTS website for details of the plans and opportunities for feedback. Waterloo looks to improve the crossing of the Spur Line Trail at Union Street. The spot was recently studied by elementary school students who counted crossings and measured the speeds of passing vehicles, concluding that this intersection isn’t safe. Fixing it will be a difficult challenge, with nearby traffic lights and train tracks, so good public feedback is needed to ensure staff find the best solution. Kitchener investigates broadening its traffic calming program to allow groups of neighbourhood residents to come up with and implement solutions for their streets. Kitchener gears up for BikeFest on May 28. Meanwhile, staff are proposing ‘advisory bike lanes’ for narrower portions of Krug, where two lanes of traffic and bike lanes won’t fit. The lanes would encourage cars to use the centre of the road until approaching oncoming vehicles, at which point they would be allowed to encroach on the bike lanes to pass, provided they yield to people cycling. For details, or to send feedback, contact Danny Pimentel. Grand River Transit is adding traffic signal priority units to all of its buses, which will allow more of its fleet to be used on the iXpress 200 route when necessary. The system can make a traffic light change faster or stay green a little longer if a bus falls behind its schedule. Regional councillors have agreed with staff’s assessment that public washrooms at transit terminals beyond Charles and Ainslie would be too expensive to build, maintain, and keep safe.